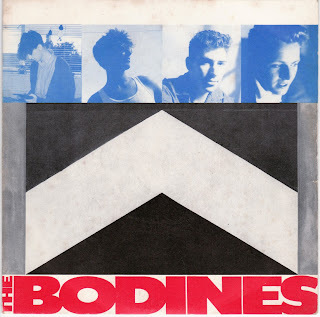 The third and final Creation single by The Bodines before they signed to Magnet was the 1986 single ‘Heard It All’ backed on the 12 ” by ‘William Shatner’. Here both songs can be heard recorded live at the ULU in 1986, the quality is that of a bootleg, but I often find these capture the gig far better than any professional recording. Another two tracks can be heard from the gig here.